This is a post that's been sitting around waiting to happen for 18 months now. I just can't find the time to devote to this blog that I would like to, even though it consumes most of my weekends. The folder is called "arabic doors" and dates back to January 2015, but the topic is rather broader than that. Actually there is a post from that date and this is basically a carry-over: material that I wasn't able to include in that post. Around that time I did a lot of family development work for a project that is now on site, one that attempts to conjure up the atmosphere of an "old quarter" in one of the Gulf towns. Arabic doors are a well-known motif from that style of architecture: richly carved planks of hardwood nailed to cross-pieces to form two narrow leaves, opening inwards. Gypsum and lime would have been the traditional binders of course and there is a strong tradition of decorative plaster work. You can see it in the reconstructed fort below, rather too precisely geometric I think, a common temptation in renovation work. There is of course a strand weaving through the architecture that originates in a much more delicate and temporary style of building. People lived in tents, some permanently, others seasonally. These are portable dwellings of course, that can be rolled up and packed onto your beasts of burden. But there are other ways of building lightweight structures that encourage air movement, ways that are better adapted to a dense urban setting. This is the Areesh or Barasti style of work based on palm fronds and reeds, ranging from matting to open mesh walls. It can be used for small houses, or shopkeeper's kiosks in the bazaar, and it can also be adapted as a style for interior decoration, lining the niched walls that we saw earlier with a softer and more intimate kind of finishing layer. There are other well-known typical elements: the wind towers, wooden gargoyles, perforated screens and so on. But the challenge for the modern architect, (and for the would-be BIM modeller) is how to capture the charming informality and irregularities of a traditional vernacular style like this one. So here are one or two images from Revit to justify this being a blog post. The first is a lozenge that fits within a door panel. It's a nested component so X and Y are going to be linked to parameters in the door family. The extrusion sketch comprises four lines with ends locked to reference planes. I'm assuming you all know how to "tab-lock" a line end to the intersection of two reference planes (separately locking to the two planes really, but the aim is to have the line end track the intersection as this moves in response to user input. Returning to the challenge that I glossed over earlier, in practice this decorative element would be slightly irregular and probably embellished with a decorative flourish or two. 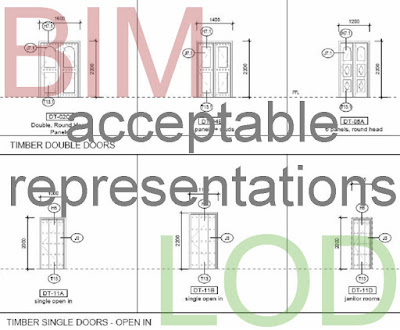 But in BIM we have to consider Mr LOD. What does he have to say about the appropriate level of complexity for this situation? In this case I was interested in capturing the idea of a particular style of door as simply and economically as possible. There is going to be a typical detail of that door type to guide the tradesman responsible for making it in the workshop. And there will be a whole process of shop drawings and approval of samples or mock-ups. The main model ("the BIM" as some would have it) is there to help us to coordinate our work. We want to see how all the elements fit together and interact. Do we have the proportions right? Are there any technical issues? So we want to recognise the 8 different styles of door that have been chosen for the project, but we don't want to be distracted by too much detail. And we definitely don't want the MEP consultant's CPU to explode just because we decided to show the door carvings in exquisite detail, and she is obliged to load our model in the background in order to place her ducts. Perhaps we will have been considerate enough to place all the doors on a separate workset, but then she might want to see the door swings in plan when placing her electric sockets and light switches. So we should definitely consult Mr LOD at regular intervals and take strategic decisions about levels of complexity. Irregularity is harder to convey. It's fairly easy to skew walls by two or three degrees in plan for example, but virtually impossible to model the subtle curves and undulations that you would expect to see in the plaster work of an old building. I have never tackled this on a real project, but in studies I have shown that you can fake it to some extent by skewing the reveals of doors and windows, which is where the irregularities show up most obviously when you stand in an old room. It's all a question of "trompe l'oeil": fool the eye. Our brains leap to conclusions. They have to in order to interpret the complexity of life in real time. So quite simple cues can get the message across, and most of the time that is enough. We have a team of people who are sharing ideas, working together to develop a design proposal for a building. We are all making hundreds of small decisions each day, and from time to time rather large and important strategic moves. The idea of BIM is to provide a single, live context where we can see the consequences of all those choices evolving over time. We want to make informed decisions in a rich context. Our brains need enough information to assess and review. Sensory overload is not going to help. Look at a typical infographics dashboard. See how simplified and abstract they have become. Perhaps we need to set aside our obsession with reproducing "reality" and think in terms of diagrams that support decision making. Section views are diagrams. They help us to decide how a building will be assembled, as a sequence of trade operations. For this project I developed a series of detail items that could be embedded in recess families that are used either stand-alone or above doors and windows. The thick walls are created using cavity construction and the outer leaf steps back wherever a recess is needed. That's how it works in real life, but in Revit a recess is simply a void, cutting into the outer leaf. Sometimes it will emulate "wrapping" for the plaster layer, in plan views, but in section it will just cut away, leaving blockwork apparently exposed. My detail items show up in section views to represent the recessed blockwork, plaster and a smal lintel above to make the transition. None of this material will calculate and schedule of course. This approach is fine for square headed recesses, but less so for an arched niche. The detail item knows nothing about the sections that cut through the family so it can't adjust itself to their position. Probably you have set it to show a section through the dead centre of the opening. Unfortunately that will not always be where you section lies, and the result is a bit of wall poking out below the lintel. You can solve this by doing the detailing manually for each and every view, but that kind of defeats the idea of BIM, and falls down completely when someone else decides to adjust the section position at the last minute without realising that those details are now out of whack. Many of the wooden shopfronts on this project have external folding shutters. This was an interesting challenge. I didn't try to make the angle variable, but I did need a family that would adapt to different sizes. This involved hosting a nested component on reference lines and locking the ends to reference planes. Looking back at this now, I'm rather astounded that it all worked, but it did. Once again it provided enough contextual information for us to visualise what was going on and anticipate various kinds of problems on site. And in the end we had a set of drawings that could be used to tender the project. Finally here are some images of archways. There were lots of different styles based on nested "corbels" that could be swapped out. Once you have this set up, it's easy to add in another style of decorative corbel, and you can use the same corbels in families with different jamb details. These arches were a very effective way of introducing "organic variety". You can have three in a row of the same design, then turn the corner and find on that is slightly different. You can have some buildings that are relatively plain and others that are more ornate. 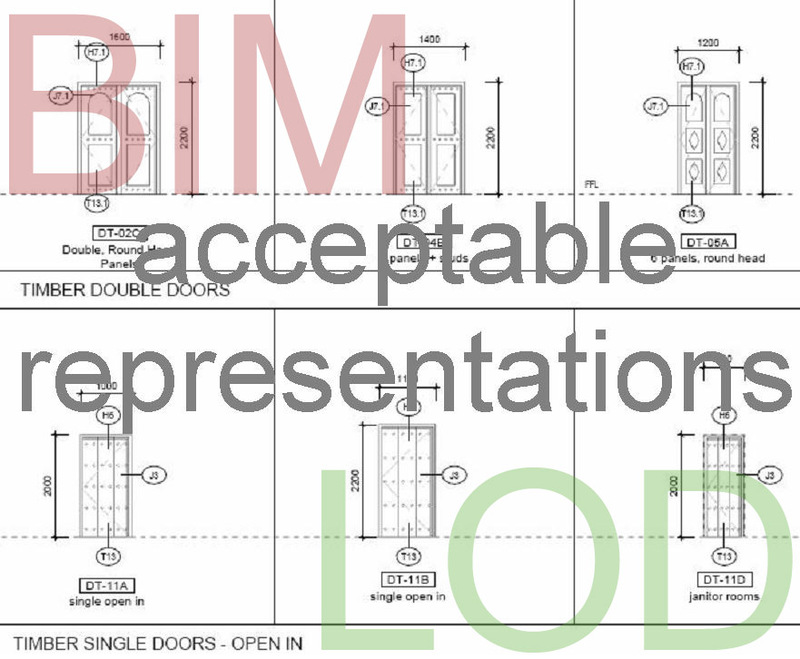 Irregularity, vernacular, challenges for BIM tools, Mr LOD, random thoughts, all for now. Two years ago I was seriously overweight to the point where I had full-blown type 2 diabetes. I just didn't know it yet. In August 2014 my diagnosis was a couple of months away. Or perhaps I did know, somewhere deep inside. 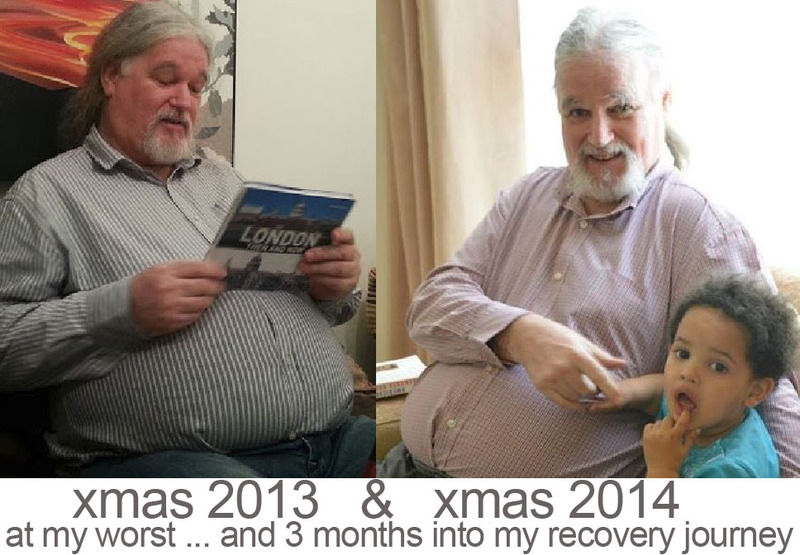 About 3 years earlier I had finally done what my children had been pestering me to do for years and visited a doctor for a general health check. He told me that I was "borderline diabetes", gave me the usual pep talk, and advised me to me to come back in 3 months or so. That never happened, but I did walk around for another 3 years telling myself "I'm borderline, there's still time, I can get this under control ... but not tonight, I need my comfort food." 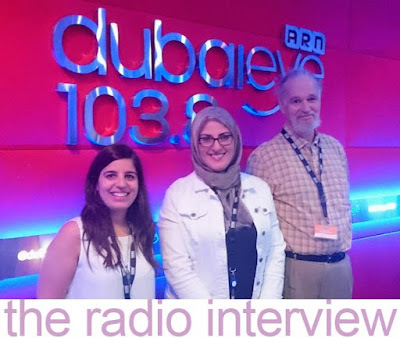 What saved my life was a Health Day, organised my GAJ (my day job) and BUPA (the medical aid society) That was when I got my diagnosis and where I met Dr Ghada from the Boston Diabetes Clinic. Two things had changed. Firstly was put straight on to daily injections. Secondly she gave me very specific dietary advice and made sure her staff arranged regular follow-up visits. That was all it took to give me the motivation and confidence to take control of my diet and health. Looking back I think there have been 3 main phases to my recovery. Stage one was fear. Just the fact of suddenly having to inject myself each morning shook me out of my lethargy. I also had to prick my finger twice a day to record blood sugar levels, and remember a whole regime of pills (morning, night and weekly) I am a citizen of Zimbabwe living in Dubai. I am 65 years old and planning to work for as long as I can. My only viable retirement plan is to go back to my house in Zimbabwe and live a simple life where the cost of living is low and the climate favourable. What scared the crap out of me was the thought of living in deepest Africa and still being on all this medication. Would I be able to afford it ? Would it even be available in Zimbabwe ? So fear motivated me to implement the radically different dietary regime that my doctor had carefully explained. Three small meals and two small snacks. Basically you are eating at 3 hour intervals to keep the energy levels up and the hunger pangs down. Sugar, Oil, butter, soft drinks and fruit juice were out. I haven't bought any of these things since I was diagnosed. I drink water and green tea, plus a small amount of fresh milk. 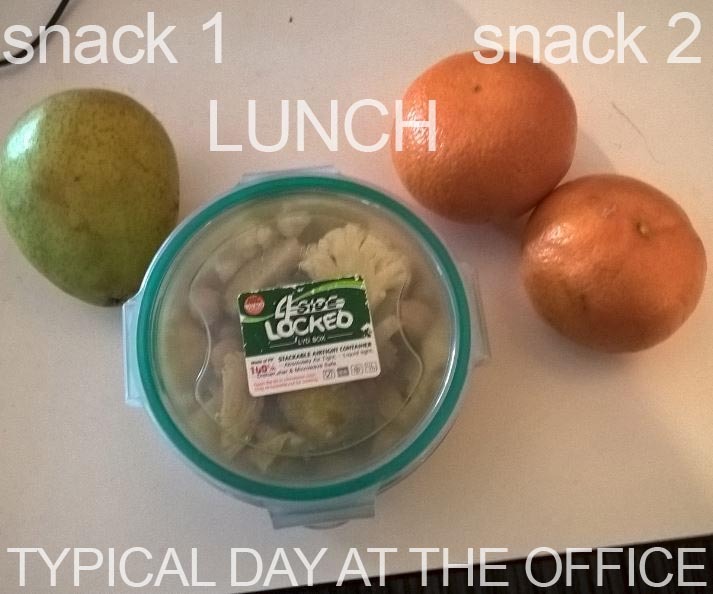 A small snack is one piece of fruit: a banana or an orange, for example. I have also cut back drastically on carbs. 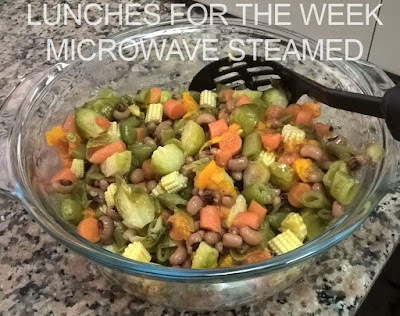 My meals are usually either steamed vegetables or salads. I was advised to have 2 portions of vegetables and 1 portion of carbs (rice, potatoes, pasta, bread) but in practice that just complicates things. How do you cook one spoonful of rice ? So my intake of "staple foods" is now very low. Stage 2 was the feelgood factor: the rewards of dramatic weight loss, people stopping me at work and expressing amazement at how I had changed. That kept me on the straight and narrow for several months after the fear had faded. It was great to experience this transition from the stick to the carrot. My self esteem was soaring, I had so much more energy. I felt more alert. Just as an example, I always used to run up stairs. It was a habit that I developed out of impatience, but of course it fell away about 10 years ago as I put on weight. About 3 or 4 months into my weight-loss experience I just found myself running up a flight of stairs again. I didn't even realise what was happening until I got to the top of the stairs and realised I had turned the clock back 10 years without even thinking about it. I started to dress more smartly. 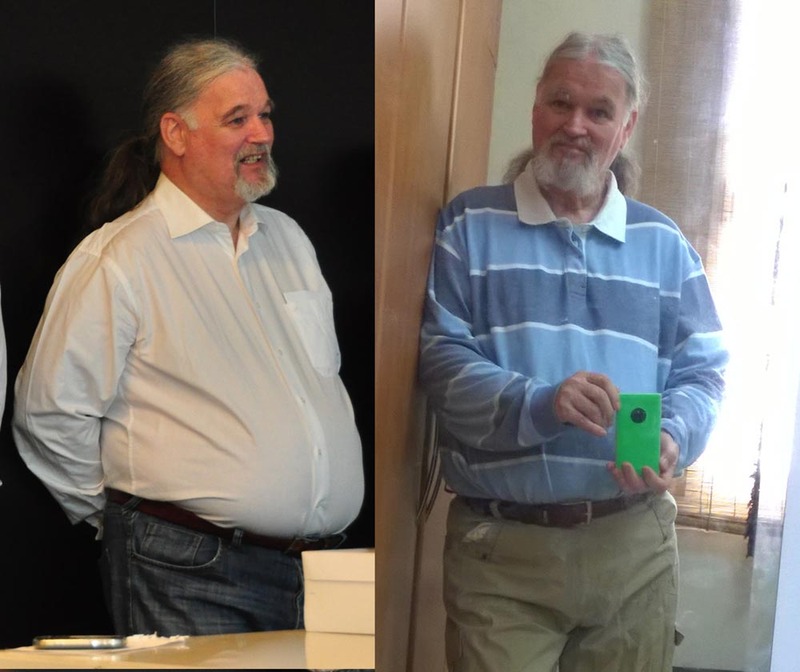 Over the years, as my belly began to push over my belt, I had started to dress down, wearing jeans to work, eventually wearing loose shirts and not tucking them in. You just walk around in this tent that masks the full enormity of what you have become. There's nothing worse than fat people who insist on wearing tight clothes, right? But now I could take trousers out from the back of the wardrobe that I had discarded ten years ago after wearing them a handful of times. I really got a kick out of that. Stage 3 is where I am now. I've been through a couple of periods where my weight levelled out. That happened after I had shed 20kg. That was a huge achievement of course which gave me great pride, and I new it was going to be harder to lose the next 10kg. 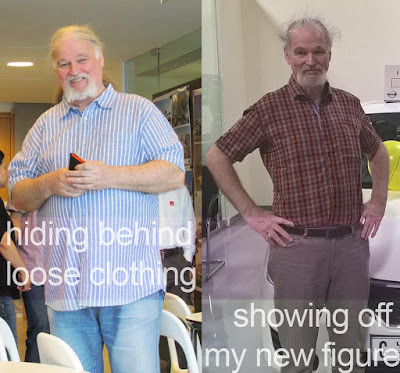 So I got stuck at the same basic weight for 3 or 4 months, but I didn't panic. Perhaps I needed to pause for breath, let the situation sink in. Then I had one doctor's visit where, for the first time my weight recorded slightly higher than the last visit. That motivated me to go back to my original strict diet. I had gradually loosened my grip without fully realising it. My assumption that "it just gets harder" to lose weight as you get nearer to the target was not really correct. 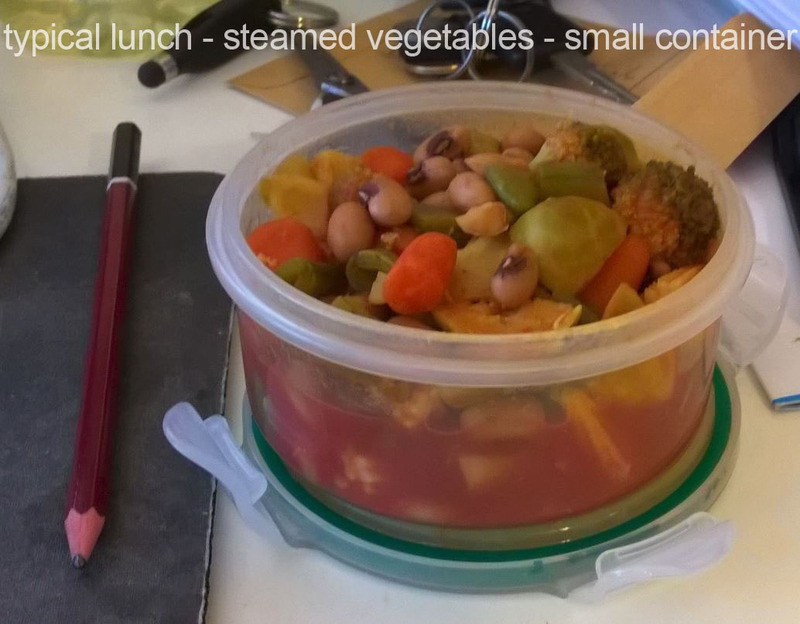 I found I could still lose weight rapidly if I returned to my original strict regime. So now I am 33kg down. I started at 123kg and right now I am sitting at 90kg. That's right, I've lost a quarter of my body mass. It seems ridiculous, and looking back I can hardly believe that is my in those old photos. So I am getting a broader perspective on the whole thing, and phase 3 amounts to a new perception of my identity and my place in the broader scheme of the Diabetes Epidemic. I am motivated by the opportunity to share my story with friends and colleagues, to talk about the crazy world of runaway consumption that we inhabit. I see people wherever I go with their puffy faces and waddling gait and think, "that used to be me". I was trapped in that addiction, and I still have the cravings. By luck I got the right advice at the right time, it set me on a new path and it feels so good to share that story when opportunities arise. People approach me at work and ask for advice. How did I do it? What is my diet? It's like I'm a born-again "healthy person". So stage 3 is a kind of global awareness, an overview of the whole situation. I will always be a food addict. There will always be temptations. But I now have the confidence that I can manage my own health. I used to wear sandals, because it was too hard to put socks on. As I lost weight it got easier, but still my joints were stiff. But that can also be worked at. I have discovered various stretching exercises that make a big difference over a period of weeks. You can regain quite a lot of the flexibility that your body had lost. So there is this general awareness of health issues and an enthusiasm for finding small solutions, here and there, that work for me. It's a journey of discovery and I have embraced it. Two years ago I had basically resigned myself to the probability of being a semi-invalid for the rest of my life, to perhaps not seeing my grandson become a young adult. That now seems crazy. "Life begins at 60" is my new motto, and I'm convinced that other people can find a way out their "mind & body traps" just like I have. BUPA and GAJ have responded to this by setting up two interviews for me to tell my story, one for a local newspaper and the other for a radio station. It's a small contribution but it's also part of my ongoing contemplation of the global issues. Apparently there are around 400 million people struggling with the type 3 diabetes issue. Our bodies are just not designed for the modern world. They are telling us to gorge on foods rich in fat and sugar whenever we come across them, because those were rare events and stored fat in our bodies was a significant survival factor over the lean season each year, and even more so in periods of extended drought. Three year droughts are quite frequent on the African savannah. You can lose a lot of body mass in three years, so excess body fat can be a life saver. It seems to me now that sweeping global measures are needed to curb this epidemic. Everywhere I look I see people with puffy faces and bulging waist lines. That was me for well over a decade, and I had internalised that identity, embraced it and insulated myself from the very real consequences of a distorted body chemistry. Why don't we have health warnings on sugar-rich products like the ones that were introduced despite colossal outrage from the tobacco industry? I suspect that sugar is doing far more harm now than tobacco. Diabetes can lead to blindness and amputation. That's on top of the 400 million people suffering from the general debilitating effects and the worry that this causes their families: presumably more than a billion people whose lives are impacted by this epidemic. And of course the numbers are rising very rapidly. When I walk through a supermarket now, I am horrified by the kind of stuff that fills around 80% of the shelves. This is an attitude that I would have ridiculed a few years ago, but it's based on a very real encounter with food addiction. Whenever I speak at a BIM function in some Dubai hotel, there is a huge spread of unhealty foods laid out for the participants. It's all flour and sugar, flour and sugar. I really have to look hard to find something that I am willing to eat. We just take it for granted. 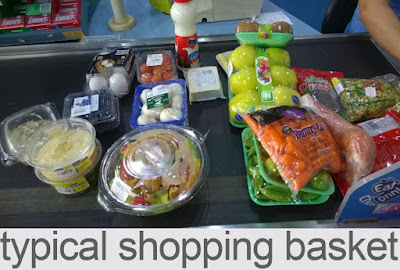 I queue at the supermarket to pay for my little horde of fresh fruit and vegetables, surrounded by people with huge trolleys full of biscuits and ice cream and oils and fats. When did I become such a fanatic? Lighten up! Why can't people choose to eat whatever they want? Unfortunately, that didn't work for me. I was extremely luck to find a way out of that vicious downward spiral and it took 18 months to claw my way back to a healthy body chemistry. I have good friends who feel inspired by my example, but have not been able to transfer this to their own lives. We are all different. I found the exit door. You may not be so lucky. I really think that those unhealthy foods should just be taken off the shelves. The fast food chains should be given 2 years to transition to genuinely healthy balanced meals, or be shut down. That probably sounds like fascism to you, but that's also how many people still feel about banning smoking in public bars and restaurants. The facts are very clear. We are ruining the health of millions of people. We have over-developed bodies in an over-developed world that revolves around profit. Neither capitalism nor communism, in their extreme forms is worth even discussing. In practice all economies are a mix of state planning and free enterprise. But how do we create a sustainable future? How do we curtail this mad, runaway consumerism that is bloating our bodies, polluting the planet, trashing the rain forests? 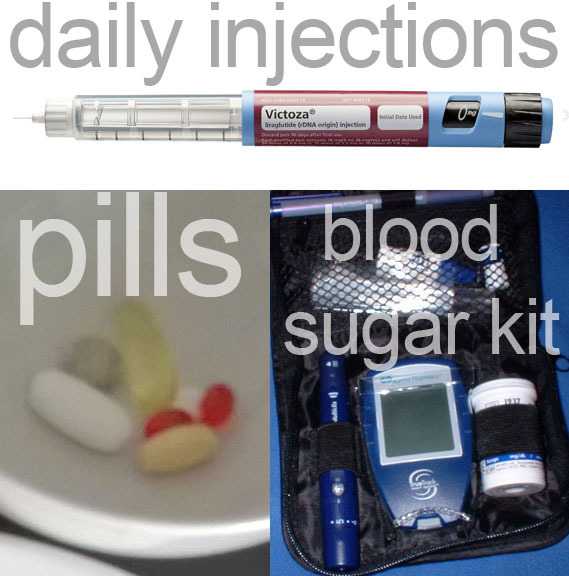 Type 2 diabetes is the by-product of a prosperous, industrialised world. It's an indicator that we are gripped by a progress trap of the kind that has brought countless civilizations down in the past. I have found my personal exit door, but what about the world in general? There is a door that I made(some months ago) for the Banking Halls. The middle, opening part is taken from photographs of doors that exist today in the Bank Museum (the reconstructed Stock Office). The surround is based on a drawing of Soane's and a 1920s photograph of the Colonial Office. I had made the surround rather crudely, and the whole thing was a fixed size with no built-in modularity. So I decided to make this slightly more robust and parametric, then go on to build more doors with interchangeable components to allow for more variety and flexibility. A fully parametric version would be quite demanding, but making parametric moulding profiles for the segmental pediment is perfectly doable. It all comes down to Height and Depth, with 3 intermediate parameters (X,Y,Z) that are all expressed as fractions of "Height". In other words, increasing Height will scale the whole profile up, while Depth can be varied independently. The ogee curve is a polyline, locked to the corners of a square of side "Z". The next thing I attempted was a typical Soane studded door panel. He used this type of door on just about all of his buildings. I'm not sure of the original derivation. The tricky part is getting the arrays of studs to scale up and down. I took the view that we don't need a huge variation in size. These are doors after all. So I kept the number of studs constant and all I need is quite a lot of equalised reference planes to respond to different sizes of panel. Maybe another day I will do one with an array parameter so we can type in the spacing of the studs and have the number of items automatically calculated, but this time around I lacked the patience. So I went on to do make a whole series of doors, all of approximately derived from a Soane building in some way, and most of them having parameteric door panels that are interchangeable. Some are single. some double, and again there is interchangeability. Behind the scenes here is some work that has been bubbling away on my stove for a little while now, a way of doing modular door families that will allow for maximum reuseability down the road whenever we model a new type of panel, surround, door swing, hardware set, whatever. This will be the subject of one of my sessions at RTC Europe in Porto, later on this year. It's an experiment, but it's working out quite well so far. One thing to note, with these complex door surrounds. When you have a piece of geometry in the family that lies completely above the cut plane, it will show up in the floor plan, unless you explicitly tell it not to. I guess this is intentional. You might want to show the pediment over these doors as a dashed line in plan, perhaps. While I'm on this topic, I always found it a little odd that the "Visibility Settings" button only shows up on the ribbon if you select geometry made with the same tool, e.g. all sweeps, or all extrusions. Another way to force something to hide in plan is to "Join Geometry" with something that DOES intersect the cut plane. In this case, all the pediment elements could be joined up to the architrave moulding (the sweep going around 3 sides of the opening) One drawback is that things that are joined together automatically share the same material (or material parameter). I can't do much about the discrepancies now, either the hand drawn plan is inaccurate, or it results from normalising the alignments, difficult to be sure which at times. I'm not going to start rotating individual portions of the plan by a degree here and a degree there at this stage. That would just be asking for trouble. Some of the crosses are rooms, some are groin vaults showing up from the cellars below. I think I should probably revisit the parametric dome family for the next post. Had a couple of requests for that.